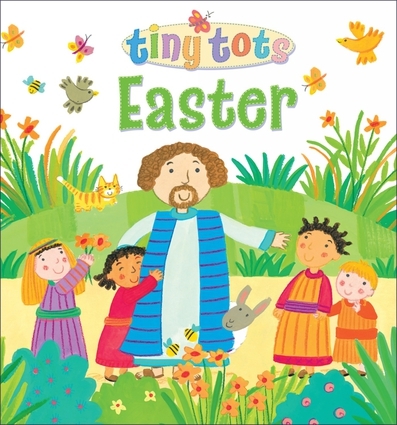 The first Easter is retold with no more than 50 words per double page spread and fun, jolly artwork from Kay Widdowson. The clear text is easy to read aloud and the swirly, bright art style will capture the attention of any young child, with lots of little details to spot. A perfect introduction to the first Easter to share with children. LOIS ROCK has established an international reputation as a children's writer. Specialising in Bible stories, prayer books, and information books, her books have been translated into over 30 languages with sales of 4 million copies.Kay Widdowson studied at Chesterfield College of Art and Design then went to work in film animation for five years. She then became a freelance illustrator of children's books and still works in this field, as well as designing for greetings cards and gift wraps. Kay's style is bold and bursting with luscious colours and unexpected shapes which fit together into her playful animal compositions -- full of movement and energy. Recently Kay has concentrated on print making including collograph, which makes use of the medium's characteristic boldness.